Isn't this how the Devil steals souls? Being a terrorist in any of Tom Clancy's semi-fictional universes must be a tough row to hoe. You simply can't get through a day of kidnapping, sabotaging, or general terrorizing without having to deal with some kind of crack squad of special force graduates just aching to introduce your body to a more lead-based environment. You'd think the world's governments would eventually let up a little, but no, it keeps happening. Worse yet, it just got a little more difficult for our guerrilla friends thanks to the new Rainbow 6 Siege Starter Edition. Ubisoft's new deal grants players full access to the game and its five player co-op mode, Terrorist Hunt, for a meager fifteen dollars. Naturally, there's a catch. 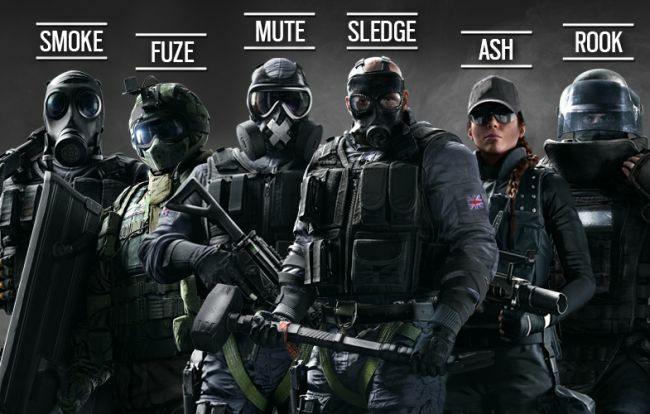 Those accessing R6S via the Starter Edition will randomly unlock two of the game's six "Entry" Operators (seen below) as well as start off with enough R6 Credits to unlock two more from the full roster. Past that point, though, they'll have a much more difficult time unlocking the remaining 16 Operators than their Standard Edition counterparts. In fact, each tough-as-nails Operator will cost 12,500 Renown, compared to the regular cost of 500-2,000. All things considered, though, it's still a pretty great deal. Starter Edition players can experience all the modes, maps (including those added post-launch), weapons, and progression mechanics as normal. For more specific details, Ubisoft has a pretty lengthy FAQ set up. 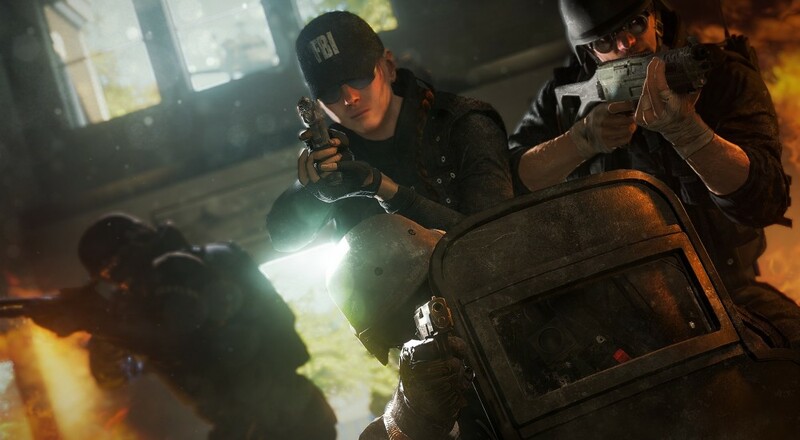 We appreciated Rainbow 6 Siege when it came out late last year, and it's great to hear that even more players can access its co-op offerings at such a low price point. Well, it's great for us, anyway. Those poor, automated terrorists probably won't know what hit 'em. Page created in 0.3604 seconds.